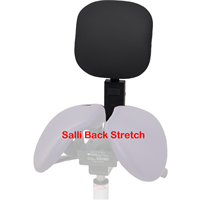 Premium Salli Multiadjuster with standard options. 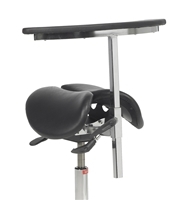 Anatomical split-seat with adjustable center gap opening and seat tilt. Seat height options for short, average, and tall users. 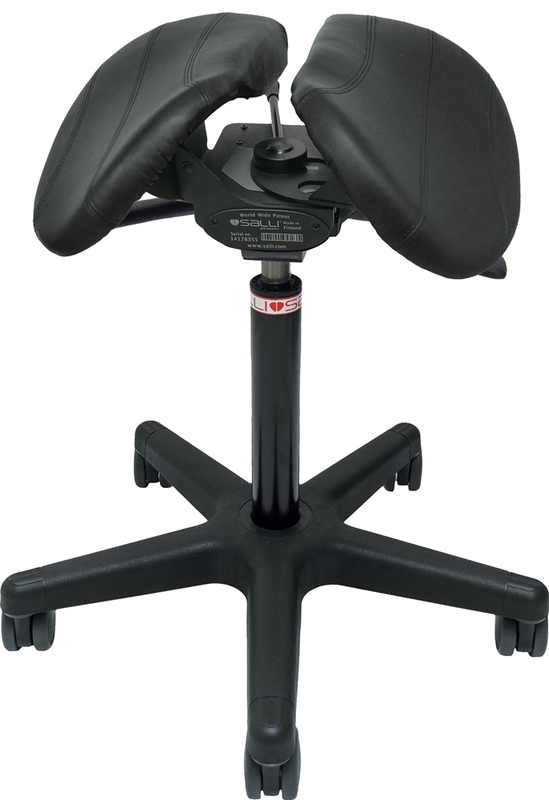 Compatible with Salli accessory arms and back. Salli Multiadjuster Care is the standard version of the premium Salli Multiadjuster. The two models are exactly the same except that the premium model has more color and fabric options and a metal 5-star chair base. Anatomical split saddle with adjustable width and center gap for a custom fit. The seat width adjustment setting tends to drift and narrow during use and requires periodic readjustment (just like the Salli SwingFit), so it's a bit of a hassle to use unless you really need it. Heavy duty 3mm steel seat plate covered with high quality contouring foam. Large 65mm casters for easy maneuverability. Optional deep pile, braking, locking, cleanable (barber) and industrial casters also available. Salli Saddle Chairs are VERY firm. There is a reason for this. If the saddle were cushy, you would sink into it and experience unhealthy pressures on your genital soft tissues. In a firm seat, your body is supported by your sit bones (e.g., ischial tuberosities), and your genital tissues are suspended and relieved of pressures. Salli Saddle Chairs are therapeutic and become comfortable over time as the body stretches and tones its way toward better health. Fit and flexible people are usually comfortable in a Salli immediately. Those who are deconditioned or stiff need more time to accommodate.